Today, Motorola and T-Mobile have officially announced the latest phone, the Motorola Charm. 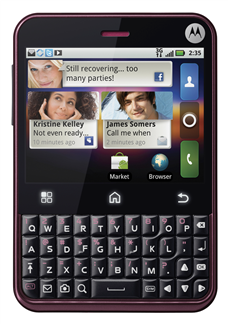 It is has a portrait QWERTY which is running Android 2.1 with MOTOBLUR. Other features include a 3Mp camera and 2.8" touch screen with backtrack Navigation, much like seen on the Backflip. 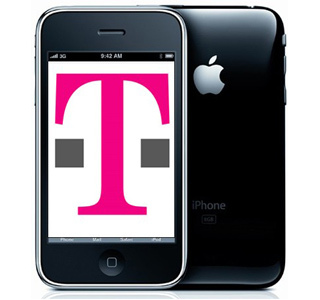 But if you are not familiar with the backtrack navigation, watch the video below for more details. Libertyville, Ill. — July 7, 2010 —Motorola (NYSE: MOT) today announced the upcoming availability of Motorola CHARM™, a touch screen smartphone that packs a social networking punch with Android™ 2.1, MOTOBLURTM enhancements, a compact design and a BACKTRACK™ feature that makes screen navigation even more intuitive.